Here we show you different embroidery stitches to master! Bring thread up at 1 then down at 2, up at 3 and down at 4 and continue. The spaces between the stitches can be the same length as the stitches or shorter for a different look. Keep an even tension and avoid pulling thread or the stitches will pucker. See Laced Running Stitch for a variation of this stitch. Bring needle up at 1 and back down at 2. Move left and bring needle up at 3, then back down at 1. Continue stitching. Bring needle up at 1 and down at 2. Bring needle back up at 3, splitting the centre of the previous stitch. Take needle down at 4 and then back up at 2. Use to outline a shape before stitching Satin Stitch to create a raised effect. Bring needle back up halfway between 1 and 2 at 3, just slightly above the first stitch. Be sure to keep thread below the needle. Make smaller stitches for curved lines to maintain a rounded smooth look. Bring needle up at 1 and then reinsert needle in same hole, forming a loop. Bring needle up at 2 and pull thread to tighten loop until desired shape is achieved. To end the row make a small stitch over the last loop to hold it in place to secure thread on back. It is important to keep your thread tension even to create a consistent looking chain. Bring foundation thread onto the front and place along the design line. Bring the couching thread up under the foundation thread and make a tiny stitch over the thread, going back into or very close to the entry hole. To finish couching, bring the foundation thread onto the back and secure it. Secure couching thread on back. Use a matching coloured thread for the couching stitches to blend in or a contrasting colour for a bolder look. Use DMC cotton Thread (1 strand) to couch down solid colour foundation threads and use one strand of DMC Light Effects Thread to couch down thicker metallic foundation threads. Bring needle up at 1, down at 2 and up at 3, keeping the thread looped under the needle. Pull thread through and shape stitch as desired. For an even line of stitching keep the height of the stitches even throughout. 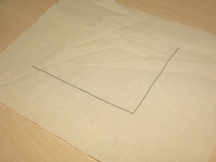 To vary the look of the stitch, change the height of each stitch making one long and one short. Bring needle up at 1 and down at 2 making sure to pierce both pieces of fabric to bind together. Bring needle back up at 3 and down 4, continue stitching the seam. Leave a tail of thread when you start, and work several stitches over it to secure and hide the thread. Bring needle up at 1 and through the fabric a short distance to 2, keeping the thread hidden under the fabric (dashed lines). Bring needle over to 3 and repeat. Only the vertical stitches should show on the front of the fabric. 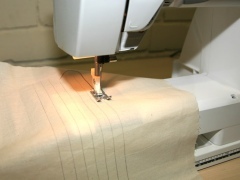 Stitches indicated by dashed lines will be hidden in the base fabric, or in the folds of the appliqué. Continue lacing the thread up and down through the running stitches keeping the loops even. To finish the lacing, bring the lacing thread onto the back under the centre of the last stitch. Use a blunt tip Tapestry needle for the lacing thread. 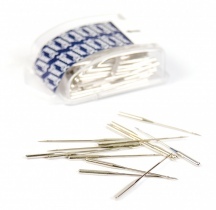 This will help prevent you from piercing the fabric or the Running Stitch threads. Stitching from left to right, bring needle up at 1, down at 2, then up at 3 and down at 4. Continue stitching across to end of line. Start back stitching from right to left, make crosses by bringing the needle up at 5 and down at 6. Continue until all crosses have been stitched. Be sure to keep the top stitch on the cross the same direction throughout a project. Create a horizontal stitch by bringing needle up at 1 and down at 2. Create a vertical stitch by bringing your needle up at 3 and down at 4. To create the next upright cross stitch bring your needle up at 5 and down at 6. Bring needle up at 1, and down at 2. 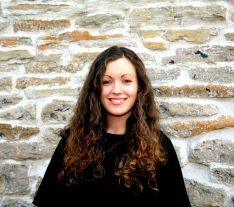 Bring needle up at 3 and down at 4 to create an elongated cross stitch. Bring needle up at 5 and continue. Mark two parallel lines with Water Soluble Pens to keep stitch height uniform. Bring needle up at 1, down at 2. Bring the tip of the needle back through the fabric halfway between 1 and 2 at point 3. Bring the needle up to 4 and make a backstitch by bringing your needle up from 5 down at 6. Bring the tip of your needle back through the fabric halfway between 5 and 6 at point 7. Bring your needle down at 8 and repeat the stitching sequence. 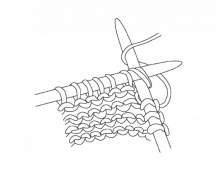 Weave your thicker secondary thread through the network of stitches in rows. When starting from the right, thread the needle under the first vertical stitch, then bring tour needle through the vertical stitch to the lower right. Next, thread your needle under the next vertical stitch to the upper right. Continue stitching in a zig-zag motion to the end of the row. Use an embroidery hoop to keep your tension even throughout, and don’t pull too tightly when weaving your secondary thread through your vertical stitches. Work vertically, from top to bottom. Bring needle up at 1 and back down to right at 2, leaving a loop on the front. Bring the needle back up at 3 and pull thread to shape loop as desired. Insert the needle to the right of 4 at 5, leaving a loop of thread on the front. Bring needle up at 6 and pull thread to shape loop. Take next stitch to the left and continue stitching. To finish, take a small stitch over the last loop. Bring needle up at 2 and pull thread to shape loop into desired shape. Pulling tighter creates a straighter looking stitch, while a looser thread creates a more rounded loop. Finish centre of flower with a cluster of French Knots. Bring needle up at 1 and down at 2, leaving a loop. Come up at 3 and with the needle over the loop, pull the thread to shape a V.
Continue grouping stitches together randomly and at different angles to look like they are scattered like seeds. Stitch in even rows for a decorative border stitch. Bring needle up at 1. Hold thread taut with other hand and wrap the thread twice around end of the needle. Gently pull the thread so that the wrapped threads tighten and while holding it taut, insert the needle next to 1. Pull thread through onto the back until the knot is formed and lies securely on the surface. To make a larger knot, wrap the thread around the needle a couple of extra times or use a thicker thread. Make a back stitch, the length of the bullion knot required. Bring the needle out at 1, but do not bring it out all the way. Twist the thread around the needle point, as many times as is necessary to equal the length of the back stitch. Holding the left thumb on the coiled thread, turn the needle back to 1 and insert it in the same place. Pull the thread through until the bullion knot lies flat. Bring need up through fabric and wrap the thread up, over and behind the needle forming a figure 8 around the needle. Insert the tip of the needle back through the fabric, close to where it first came up, but not in the same hole. Pull the thread carefully until a knot is formed, then push the needle to the back and pull the thread through. Use instead of a French knot if you want a slightly larger and higher knot. Starting at the top, bring the needle up at 1 and down to the centre at 2. Bring the needle up at 3 and down to centre at 2. Continue stitching in a clockwise direction until you have 8 evenly placed stitches to create a star. To create an eyelet effect, tighten the tension on each stitch to create an opening in the centre. This technique works well on evenweave fabrics. Bring needle up at 1, down at 2, then back up right next to 1 and down right next to 2. Place stitches closely together to fill in area. Be sure the thread lays flat and without any twisting to produce a smooth look. To raise the stitching, Split Stitch just inside the outline of the shape before starting. Stitch a cluster of seed stitches. Stitch the satin stitch over to create a beautiful raised look. First work a row of alternating long and short Satin Stitches. Keep the upper edge of the design line even. Next work a second row of long even length stitches into the short stitches of the first row, passing the needle through the tip of the stitch above. To achieve shading, change the thread colour as needed by row. - Keep your Tension Even - to create smooth uniform stitches, pull each stitch with the same amount of tension. If the stitch is too loose the stitch will appear limp and if the stitch is pulled too tightly the fabric will pucker and cause the design to become distorted. 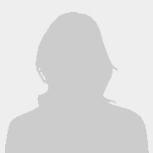 How do I choose the correct size Sewing Pattern?